Searching for used car dealerships in Waukesha for that perfect car for sale? Well the search doesn’t have to be difficult. When searching for Chevy cars for sale in Wisconsin, all that you need is Ewald Chevrolet Buick. We have an impressive inventory selection of new and used Chevy cars for sale at our Wisconsin Chevy dealers of Ewald Chevrolet Buick. The Ewald's sales team offers outstanding customer service at our Chevrolet dealers in Wisconsin. We do that first by getting to know you and your Chevy vehicle needs. As well as answering any questions you may have about one of the many new and used Chevy cars for sale near me. Whether it’s about finance deals or leasing options or Chevy cars for sale in general, we are happy to help you find the right car for you. Are you looking for Chevy car dealerships in Waukesha that offers an incredible inventory selection? We are the Chevrolet dealership in Wisconsin that will be perfect for you. We offer the customer service you deserve, the deals you need, and the new and used Chevy cars for sale near you that you want. Come to Ewald's Chevrolet dealerships near Waukesha for your next car. You can find practically anything you are looking for at your local car dealerships near Waukesha of Ewald Chevrolet Buick. You will find used cars for sale to new Chevy cars for sale near me. Do you want to research our inventory from the privacy of your own home or even on your smartphone instead of going to Wisconsin Chevy dealers? We make that easy as well. Ewald’s Chevrolet dealers in Wisconsin has an easy website to navigate. We encourage you to take full advantage of our many convenient online shopping tools. Browse through our large selection of new and used Chevy cars for sale near you. You can search based on the criteria that is most important to you. Whether it is the style of vehicle, price, or color. Give us a call when you've found the right car for you. When it comes to new and used Chevy cars for sale in a variety of styles and equipment at car dealerships near Waukesha, we have the vehicle for you. If you are looking at used Chevy cars near you, check out the amazing used 2014 Chevrolet Malibu for sale. This used Chevy Malibu for sale is sure to please with all of the incredible features. 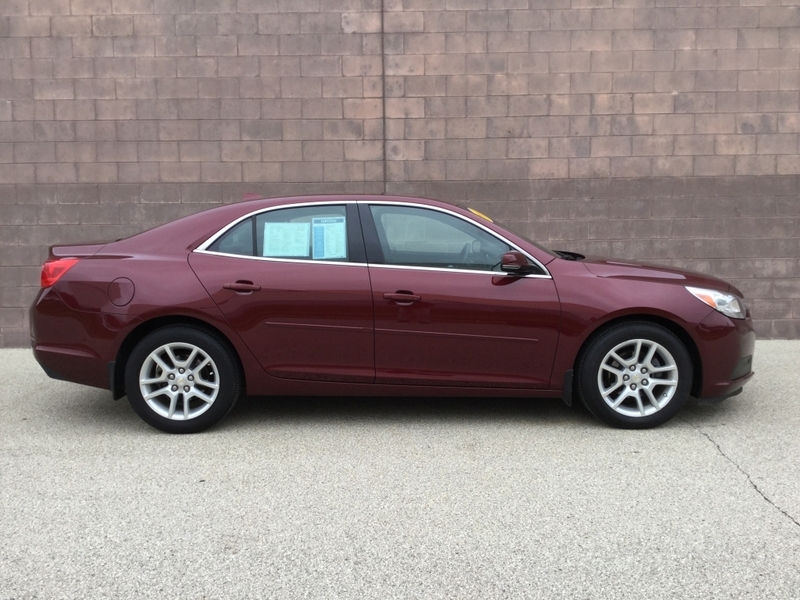 This used Chevy Malibu has a rear vision camera, remote engine start, and much more. As well as many standard safety features. Such as brake assist, stability control, and OnStar. Come and take this used Chevy Malibu for sale out for a test drive today. Is this used Chevy Malibu not the vehicle for you? Check out one of the many other new and used Chevy cars for sale near you at Ewald’s Wisconsin Chevy dealers near you. Whether you choose a used Chevy for sale or one of our other new or used cars for sale near you, we have the right vehicle waiting for you at your local Ewald’s car dealerships near Waukesha. You can find Ewald Chevrolet Buick located at 36833 E Wisconsin Ave Oconomowoc WI, 53066 to check it out in person. Or you give us a call at (262) 226-2842 to schedule your test drive.